The perfect CFP is out there -- learn how to find the right planner for you. There are tens of thousands of certified financial planners (CFPs) in the United States, according to the CFP Board, and many more planners and advisors who are not certified. The quest to narrow down the selection to the planner who is right for you begins by understanding what it means to be certified and knowing the qualities every planner should possess. For a financial planner to become certified, he or she must fulfill the requirements of the CFP Board, a 501(c)(3) nonprofit. These requirements are based on the "four Es": education, examination, experience, and ethics. Once a financial planner fulfills these requirements, that professional is then authorized to use the trademarked CFP certification marks in the United States. When trying to find a financial planner, check for the CFP certification logo -- but don't stop there. You will need to narrow your search within the more than 70,000 professionals in the United States who currently meet CFP Board requirements. Enter the planner's basic information into the CFP Board Web form, and the results will tell you whether your planner is currently certified, was certified at one point but is no longer, if he has been disciplined by CFP Board, or if he has had a bankruptcy filing within the last year. What is your experience? All CFPs are required to have a minimum of three years experience. Ask how his experience relates to his current practice. What are your qualifications? Ask about his credentials and how he stays up to date with changes in the field. What are the services that you offer? Financial planners cannot sell insurance, or securities like stocks, without proper licenses. They also can't give investment advice unless they are registered with the appropriate authorities. How do you approach financial planning? Make sure the planner's investing philosophy isn't too aggressive or too conservative for your agenda and needs. Who are your clients? Some planners require clients to have a minimum net worth. Others require certain assets. Find out the type of people the planner works with to ensure you fall into that category. Will I only be dealing with you? Some financial planners handle all clients directly, while others work with a team. If there is a team (such as tax professionals or attorneys), ask to meet them. How do you prefer to be paid? Planners can collect commissions, fees, or both. Make sure payment procedures are written into the agreement. What do you charge? Payment varies depending your situation and your needs, but the planner should give a clear estimate of hourly rates, lat fees, or commission percentage. Who else benefits from your advice? Ask for a written list of potential conflicts of interest. CFP professionals are governed by a strict code of conduct that requires them to put your needs above their own. Has the board disciplined you for any unethical or unlawful actions? Ask which organizations regulate the planner and reach out to these groups for a background check. The CFP Board, the Financial Industry Regulatory Authority (FINRA), and insurance and securities departments in your state maintain these records. Competence: Good planners are experienced, well-educated, and have been tested. Objectivity: A client's needs should trump everything else, even if it means the planner has to share hard truths, like unrealistic client expectations. Integrity: Trust, professionalism, and the pursuit of client needs over personal gain must be the foundation of your planner's character and work ethic. Clarity: Any murky dealings should send up a red flag. The planner should clearly articulate fees, services, and potential conflicts of interest. Diligence: Your planner should research all products or services he recommends to you. Compliance: A good planner never gives advice or provides services without being licensed and qualified to do so. Privacy: You will have to divulge sensitive personal information to get the most out of a planner. The planner must always respect confidentiality. Beyond the CFP Board, a good place to look for a planner is the National Association of Personal Financial Advisors, which is the country's leading organization of fee-only planners. The Garrett Planning Network is a group of fee-only planners who make their services available to even the smallest clients. Why is "fee-only" important? According to The Wall Street Journal, fee-only planners receive payment only from their clients, which means they accept no commissions and act only in the interest of their clients. "Most advisors charge a fee based on their percentage of assets under management," said Joshua D. Duvall, CFP and financial advisor for Cordasco Financial Network in Philadelphia. You really shouldn't pay more than 1.5 percent per year, and that should include more than just money management. It should include financial planning and advice as well. 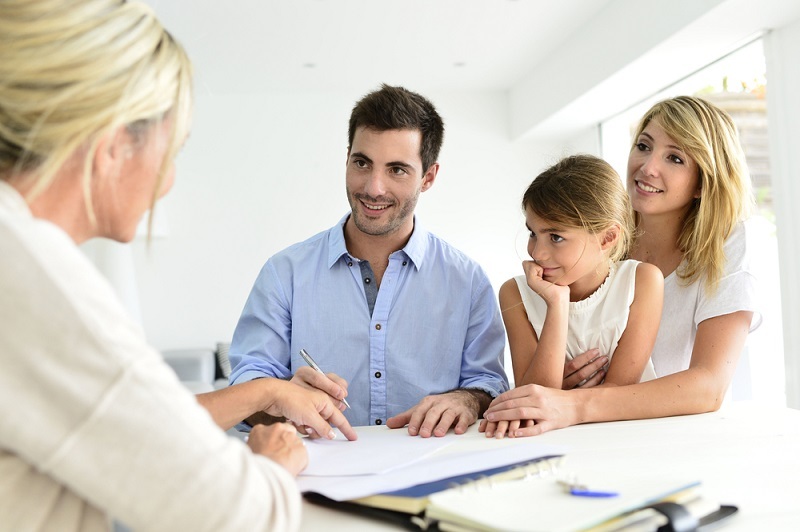 Other advisors use a retainer model based on an annual fee, a percentage calculation or some other factor like the client's AGI or net worth. Whatever the mode, make sure you, as the client, understand it and are OK paying the fees going forward. Duvall advises watching out for common pitfalls like judging a planner on a "transient feature" such as last year's investment performance. Also, make sure you are dealing with an actual planner and not a broker, insurance salesman, or annuity pusher. In the end, choosing a planner is about selecting someone who shares your values, beliefs, perspective, and outlook. "My bottom line," Duvall said, "is that individuals shouldn't be so focused on the financial products, potential returns, or fancy slogans. Instead, they should look for a qualified CFP who shares the same 'DNA,' so to speak, as the client, and is willing to build a strong relationship."